Electronic prescriptions for controlled substances(EPCS) is a regulation as well as technology solution. Drug Enforcement Administration (DEA) and states worked together to create regulation and legislation to address the problem of rising prescription drug abuse in the United States. The DEA Title 21 CFR sets the guidance for EPCS. EPCS technology was developed to address the problem of forged or stolen prescriptions. The technology requires authentication of prescriber for each prescription of controlled drugs, with improved security standards such as two-factor authentication. The technology also audits activity on EPCS with a centralized database. As the first step in this direction, the DEA legalized the use of Electronic Prescriptions for Controlled Substances In 2010. Medical Practitioners to write, transmit and archive prescriptions for controlled substances electronically. Pharmacies to receive those electronic prescriptions, dispense the drugs and archive prescription data. Address the problem of prescription drug abuse in the United States by monitoring the controlled drug’s consumption level by individuals, by prescription management program (PMP) database, which is populated with the drug dispense data from various pharmacies. Providers are required to verify the individual usage with the database. In addition, the PMP systems can generate and pass-on alerts to providers, if a patient’s drug usage exceeds the limits. Prevent dispensers from yielding to prescription fraud. EPCS systems is a secured, 100% electronic prescription system that does not require paper prescription pads prone to be stolen, forged, or altered to obtain a prescription drug. Prevent doctor shopping that the patients seeking care from multiple physicians for the same illness, with the intent of getting additional prescriptions. 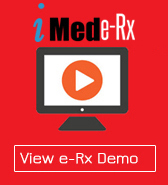 EPCS/PMP systems allow providers easily access a patient’s prescription history from the centralized database. Controlled substances are drugs that have a potential for abuse and possible addiction. The access to these drugs are regulated by the federal Controlled Substance Act (CSA). Controlled substances are categorized into 5 groups called schedules. DEA Title 21 puts much of the responsibility on the prescriber to ensure safety of EPCS.The prescriber must register with the DEA and obtain a DEA number for prescribing controlled substances. They retain the sole possession the two factor authentication tokens and must not share the password. The prescriber has the same responsibilities while writing prescriptions using an EPCS system as when issuing a paper or oral prescription. DEA Title 21 also requires the technologies used for EPCS to be a certified product by a certification body and audited by a third party auditor. This is to ensure that the technology meets the requirements set for properly creating, signing, and refilling of controlled substance prescriptions. The technology also requires the prescriber to obtain identity verification and two-factor authentication, that the prescriptions are linked to the DEA registration number of the prescriber who is authorized to prescribe such drugs. In essence, the system ensures that the prescriber is the only one signing the prescription. Call us 1-800-515-0095 and we will get you on-board through our quick,easy, compliant, and inexpensive EPCS solution.